The US has edged ahead of Italy and France to become the world’s largest wine market by volume, according to latest figures from Vinexpo and the IWSR. US consumption reached 311.3 million 9-litre cases in 2011 – equivalent to 3.735 billion bottles. In addition, the Vinexpo/IWSR five-year forecasts indicate that US wine consumption should continue to grow by 10% between 2011 and 2015. China, meanwhile, has displaced the UK in the world’s top five wine-consuming nations, with consumption of still, light and sparkling wines growing by 33.4% in China and Hong Kong combined in 2011 to reach 156.19m 9-litre cases. The UK dropped down to sixth on the list. Consumption in China and Hong Kong grew 2.4 times larger in the five-year period from 2006 to 2010, and the figures predict a further 54.25% rise between 2011 and 2015. “These figures show why every producer is now thinking ‘China, China, China’” said Vinexpo chief executive Robert Beynat at a briefing in London this morning. 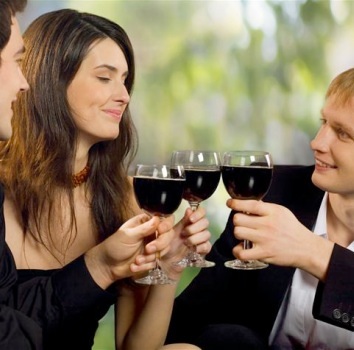 According to the figures, Chinese consumers should be drinking around 1.9 to 2 litres of wine per person per year by 2015. By comparison, French and Italian consumers should be drinking an average of around 50 litres per year by then, and US drinkers will consume an average of 13 litres per year. Other findings show that the global market for imported wines is growing twice as fast as for domestic wine, with more than one bottle in four drunk anywhere in the world being imported. Between 2006 and 2010, the volumes of imported wine consumed grew 7.83% to reach 639m cases. Beynat also pointed out the continuing decline in white wine consumption around the world in comparison to reds. “White wine today accounts for just 20% of total global wine consumption,” he said, adding: “When we founded Vinexpo this figure was 35%. As far as spirits are concerned, Asia-Pacific is by far the leading spirits-consuming market in the world with an overall share of 59%, ahead of the Americas with 15%. China is the largest spirits-consuming market in the world. In Europe, the consumption of spirits fell by 1.38% between 2006 and 2010, while Asia-Pacific saw growth of 59.28% and the American continent saw growth of 3.22%. Beynat also used today’s briefing to confirm the launch of Rendez-Vous by Vinexpo – a business to consumer event to be held in New York in November. The event will take place in the Special Events Hall of the Javits Centre in the heart of Manhattan. Beynat admitted that, although many had expected Vinexpo to return to the US, people had not anticipated a consumer-facing show. “We were rumoured to be looking at the US,” he said, “but we weren’t expected to return with a consumer exhibition. He confirmed that the decision to hold an exhibition in New York was motivated by the growth in US wine consumption in recent years. The show will take the format of a big tasting, with a selection of masterclasses also available. Exhibitor numbers will be limited to 150, with around 5,000-6,000 consumers expected to attend over the three days. Rendez-Vous by Vinexpo is a new company which will be operation from March. Aside from Vinexpo, the other partners in the new company are M.Shanken Communications and New York Chocolate Show. The event will take place on 16, 17 and 18 November – sandwiched between the US Presidential election and Thanksgiving.